It’s hard to believe, but summer is just a few short weeks away, and if you haven’t already begun planning, you may have a tough time making reservations for the most popular Virginia vacation destinations. But this doesn’t necessarily have to be bad news; there are plenty of interesting places around the Commonwealth that offer endless fun without the summer tourist crowds. Read on to learn about four of the best-kept secret spots for a summer getaway that are both memorable and exciting. With incredible destinations like the Clinch and New Rivers, Spearhead Trails, Mount Rogers, Breaks Interstate Park, and Burke’s Garden, Southwest Virginia is a veritable utopia of outdoor recreation. Kayak the New River to explore the region on the rushing water, or if you are a mountain bike or ATV lover, head to the Spearhead Trails systems, which wind through more than 350 miles of Southwest Virginia mountains and valleys. The latest addition, Haysi’s Ridgeview, added over 60 miles to the trails, welcoming dirt bikers, mountain bikers, ATV riders, and hikers to take in the spectacular views from the mountain peaks. Don’t own an ATV? You can rent one during your visit at Southern Gap Outdoor Adventures. After you’ve ridden the trails, sign up for a tour with Southern Gap to view the nearby elk herds, which are slowly growing in population after a more than 100-year absence. Finish the day with an overnight stay at one of Southern Gap’s cabins. Bonus Destinations: Follow some of the 300 miles of the Crooked Road through Southwest Virginia to hear the sounds of Virginia’s Heritage Music Trail. 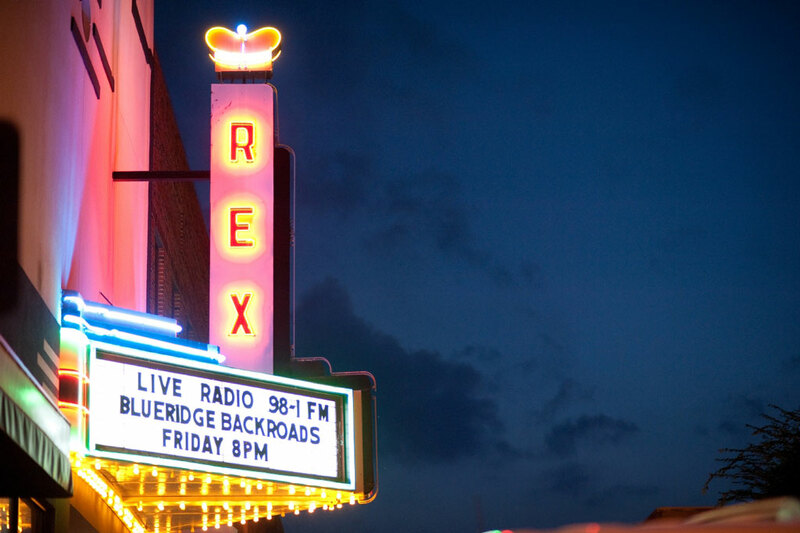 Stop at major venues along the way like the Birthplace of Country Music Museum in Bristol and Rex Theater in Galax and learn about the legends that put Virginia’s mountain music on the map. Next, head to the Southwest Virginia Museum in Big Stone Gap to learn more about the region’s history. Shenandoah National Park has become a legend, with songs, poems, and letters penned by famous authors memorializing the stunning scenery of the landscape, and for good reason. The park is one of the most beautiful in the world, bringing thousands to see the views with their own eyes each year. However, the George Washington and Jefferson National Forests also contain impressive scenic beauty that is not to be missed. 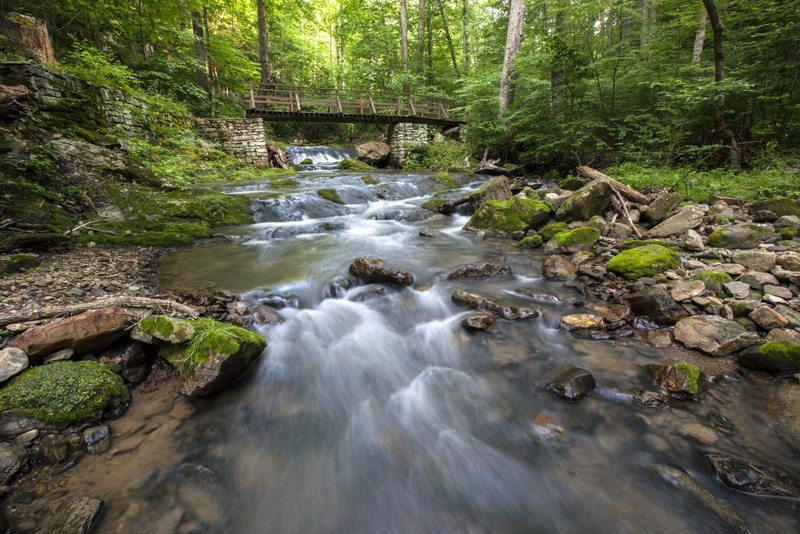 These national forests combined in 1995 to form a 1,664,110-acre park through the Appalachian Mountains of Virginia, running all the way from the Tennessee border in Southwest Virginia to the northwest corner along the West Virginia state line. You can hike or bike the over 2,200 miles of trails, fish, kayak, or canoe the 2,300 miles of streams, or simply take a drive to admire the wildlife and abundance of native plants untouched by civilization. To get the full experience out of this summer vacation, consider skipping the hotels and staying at one of the national forest’s many campgrounds. Bonus Destinations: The George Washington and Jefferson National Forests cover hundreds of miles of Virginia, and there is plenty to keep you busy the entire vacation. Stop by Burke’s Garden in Tazewell, an awe-inspiring mountain-ringed valley known as “God’s Thumbprint because of its aerial appearance. If you’re a film buff, plan a visit to Mountain Lake Lodge, the film location of the 1986 movie “Dirty Dancing”. The resort also offers all kinds of fun activities for both the kids and the adults, including zip-lining, a five-story water slide, archery tag, and Bubble Ball, where teams compete in giant inflatable body balls. Stretching northeast from Charlottesville to Leesburg, the Journey Through Hallowed Ground traces a historic route of presidential history through some of Virginia’s most gorgeous countryside. Begin at James Monroe’s Highland, where you can take tours of the Presidential Guest Home and the grounds, which have been reconstructed to resemble their original designs. Just a few miles down the road is Thomas Jefferson’s Monticello, known as one of Jefferson’s most inspired architectural masterpieces. Take a tour of the former president’s home, and then stroll through the artfully manicured gardens, which are in full bloom during the summer months. Next, drive north about 45 minutes to Montpelier, home of President James Madison. Walking trails encircle the property, allowing you to see the grounds after you tour the home and a few of the 135 historic buildings on-site. Follow the route north to President James Monroe’s former northern Virginia estate, Oak Hill, located in Loudoun County. While the home is not open for public tours, visitors are welcome to tour the grounds. Bonus Destinations: Walk through the University of Virginia campus, also designed by Thomas Jefferson. Don’t miss seeing the Rotunda, built by Jefferson as a smaller version of Rome’s historic Pantheon, on the North end of the Lawn, a rectangular grass space enclosed by the original college dormitories (Edgar Allen Poe even lived in one of these!). Stop in to one of Charlottesville’s many breweries or wineries like Champion Brewing Company or Jefferson Vineyards for a refreshing break from the historic tours. As you head north, you’ll get into Loudoun’s wine country, which features more than three dozen wine tasting rooms, or if you’re more of a beer fan, check out the LoCo Ale Trail. When people think of summer vacation in Virginia, one of the first thoughts that comes to mind is a family trip to Virginia Beach or the more residential beach neighborhood of Sandbridge. And there are sound reasons for this; Virginia Beach and Sandbridge offer many upscale places to stay at affordable prices, there are a bevy of fantastic and fresh seafood restaurants in the vicinity, and the experience of simply lying in the sun and listening to the Atlantic Ocean crash into the shoreline is virtually unbeatable. However, during the busiest weeks of summer, you may want to find a quiet and peaceful alternative for your vacation, and the Eastern Shore of Virginia provides just that. The area is still relatively undisturbed, with quaint towns packing lots of local charm dotting the coastline. One such town is Cape Charles, sitting on the southern end of the Eastern Shore. The town may be the best-kept secret of Virginia, providing upscale lodging, dining, and tasteful shopping options all within walking distance, as well as a quiet beach area for the beach bums looking to catch some rays during their summer vacation. Further up the shore, towns like Exmore, Wachapreague, Onancock, and Chincoteague welcome visitors to stay a while and experience what life is like on the Eastern Shore of Virginia. Bonus Destinations: Kiptopeke State Park invites guests to learn about Chesapeake Bay ecology and the natural history of the region while enjoying a variety of outdoor activities. You can kayak or fish the Bay, hike the miles of maintained trails through the state park, or head to the park’s swimming beach to get a firsthand look at the Bay. If you’re interested in learning about the Chesapeake Bay while also getting out on the water, book a kayak tour with SouthEast Expeditions, which leads trips out of Cape Charles, Onancock, and Chincoteague. They provide several interesting tours for every type of traveler, including kayak trips to great Virginia wines at Chatham Vineyards in Machipongo, a guided paddle through the Eastern Shore National Wildlife Refuge, and an aqua-culture tour where you’ll harvest your own clams for dinner. Another must-see stop on the Eastern Shore of Virginia is the Assateague Island National Seashore, a protected barrier island off the eastern side of the peninsula complete with miles of pristine white sand beaches, a historic lighthouse, and of course, the beautiful wild ponies made famous in the classic book “Misty of Chincoteague”. Finally, take a ferry from Onancock to Tangier Island, a remote island off the coast accessible only by air or sea, which has been called the “Soft-Shell Crab Capital of the World”.